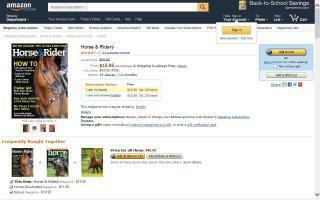 Horse Magazines Directory - O Horse! Dressage Today is devoted exclusively to the sport and art of Dressage. Featuring insights from the world's most respected trainers, riders, and judges. A horse health publication for laymen, featuring articles on health care, behavior, training veterinary trends, exercise physiology. Covers Western riding; articles on training theories and the latest information on health care, feeding and grooming. Your complete source to help your better care for and enjoy your horse. Get important information about healthcare, nutrition and behavior, tips on grooming and training, and in-depth profiles of different breeds. How-to-do-it publication for the serious English-style rider interested in breeding, training and conditioning horses for hunting, jumping, and training. 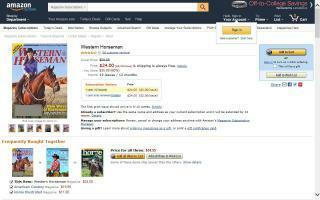 Magazine devoted to the western stock horse, including quarter horse and other breeds. Articles on training, breeding, showing, veterinary, rodeo, ranching, and general interest. Packed with features, facts, photos, and fun stuff about horses and ponies. Kids learn about horse health, grooming tips, interesting breeds and famous horses, show-ring secrets, and how to improve their riding skills. 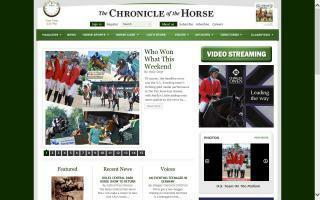 Published weekly from its offices in Middleburg, Virginia since 1937, The Chronicle of the Horse is a leading source of news and results for the entire sport horse industry. The Aiken Horse is a bimonthly publication serving the equestrian community in Aiken, South Carolina. We are also available in a digital edition through our website.